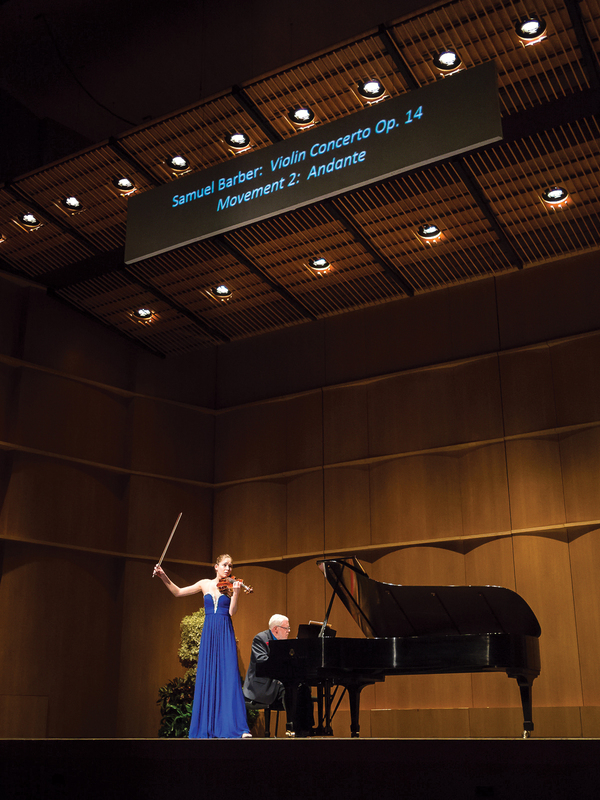 The 13th annual national Mondavi Center Young Artists Competition (YAC) supports young artists in the early stages of their careers, providing scholarships to further their musical studies as well as valuable performance opportunities to encourage their artistic growth. This year the competition features the Founders Prize in Violin to U.S.-residents ages 18–22, and the Young Artists Prize to California-resident pianists and instrumentalists ages 12–17. Talented young musicians from across the United States take the stage with their best repertoire before an esteemed panel of judges. The finalists will be competing for cash prizes and a spot in the Young Artists Competition Winners Concert. Jury Chair Rachel Barton Pine will hold a public violin master class featuring the Founders Division finalists. This event is free to observe and does not require a weekend pass/ticket. Mondavi Center resident pianist Lara Downes hosts the celebratory concert featuring the incredibly talented winners of the 13th annual Mondavi Center Young Artists Competition. The competition, held by live auditions in cities throughout the U.S., is juried by a panel of internationally renowned musicians, with winners in multiple instrumental categories. The Young Artists Competiton is sold as a three-event package.